8 Week Program featuring one session per week. The St. Pete Raiders Little Raiders program is designed for children ages 3-4 years old. The program is fully coed, and we welcome children with all skill levels. Little Raiders coaches will work to adapt the program to fit each groups’ needs. Little Raiders goal to provide an enjoyable and non-stressful environment at all times for all players. 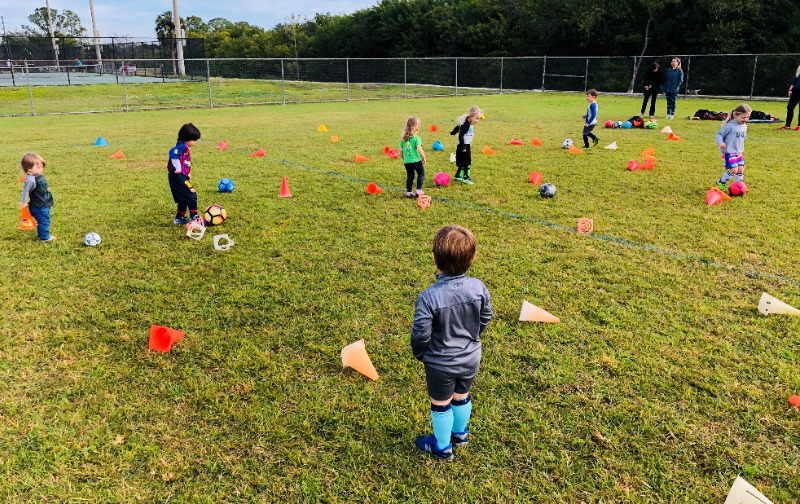 Little Raiders Soccer Program (Players age 3): focuses on games and activities with and without the ball. The sessions will consist of popular and well known games such as Freeze Tag, Red Light/Green Light, Simon Says, Follow the Leader, and Stuck in the Mud, with all adapted to the game of soccer. The program will gradually introduce dribbling as well coordination, agility and balance. All sessions are 30-40 minutes in duration. 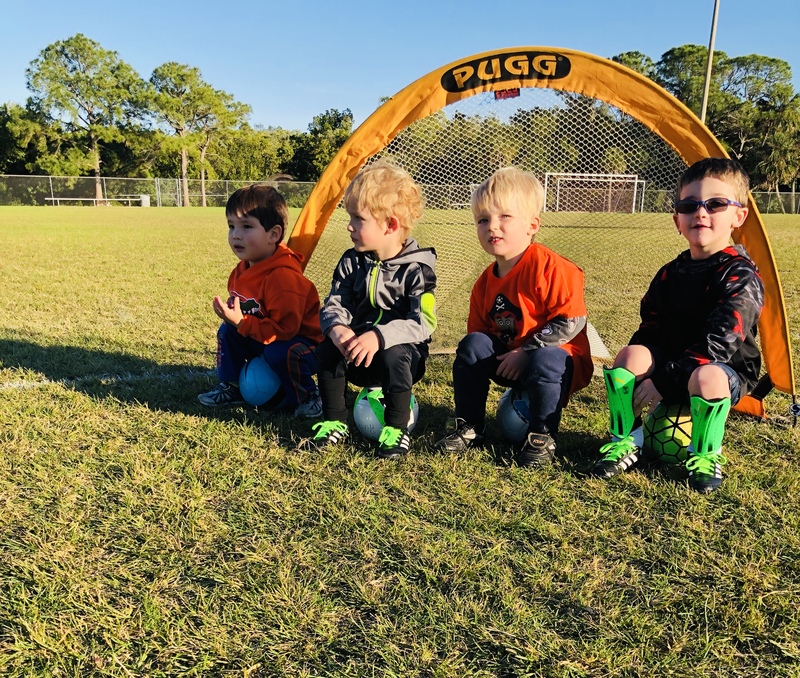 Little Raiders Soccer Program (Players age 4): focuses on activities and games that are directly applicable to the “real” game. Players will experience dribbling, passing, change of direction and teamwork-centered games. At this age, players should be experiencing more scrimmage time and games that will involve scoring and getting lots of touches on the ball. Sessions are 40-50 minutes in duration. The Little Raiders program will be offered during the Winter, Spring and Fall seasons. Winter season (January - March), Spring season (March -May) & Fall season ( October - December). All sessions are coached by Pablo Salamanca, Little Raiders Program Director. 1. Why enroll your child in the Little Raiders program? The Little Raiders program will provide fun physical activities for your child in a safe, structured setting, and will focus on helping each child develop his or her social, mental and physical motor skills. All activities will be delivered in a fun environment, ensuring they develop a love for the game. 2. What’s the minimum and maximum age to join the program? The program is targeted at 3-4 years old, girls and boys. 3. How are the children grouped? Groups will be organized according to age – within each age group, Coaches may also decide to divide groups as appropriate for specific activities. 4. How long are the sessions? 5. What time of the year is the soccer program offered, and where? The program will run during the fall, winter and spring seasons. The program will run for 8 weeks and will meet once a week. The Little Raiders program will be held at Puryear Park and other locations. 6. Can this program be extended to my neighborhood or school? Yes, all you need is a minimum of 6 children, a location and the club will handle the rest. 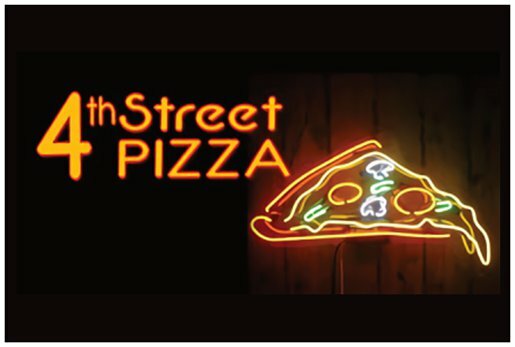 Please reach out to our office and we will bring our program to your neighborhood or location. 7. Who will be coaching these programs? Our coaches are USSF (United States Soccer Federation) licensed, and the Club ensures that thorough background checks are performed on all coaches. 8. What Equipment does my child need? Players should wear whatever shoes they want so they are comfortable. Players need to wear weather- appropriate clothing. Families should also provide their own water. For children who might need a change of clothes for unexpected accidents, please send along with your child. 9. Can parents volunteer and what should they do? Parents are always welcome to volunteer, particularly as team managers and snack coordinators. Team managers are a great support to coaches and play a key role in communicating with other parents, including team information and scheduling questions. While there may be some opportunities for assistant coaches, it is always important that coaches be left to handle training and coaching.